In the World of Arramar, there is a darkness brewing. The Walls of the Worlds are now cracking and the destructive Dark Realm is creeping into the world once again. 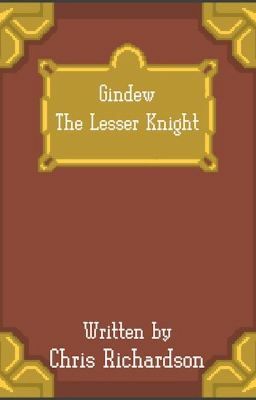 Gindew the Lesser Knight has spent the last millennia living in solitude, but now the King has summoned him to Arms. Can he stop the Dark Realm once again or will it take over? Visit my Blog at www.blog.gindew.uk to see (somewhat) regular updates on Gindew the Lesser Knight!